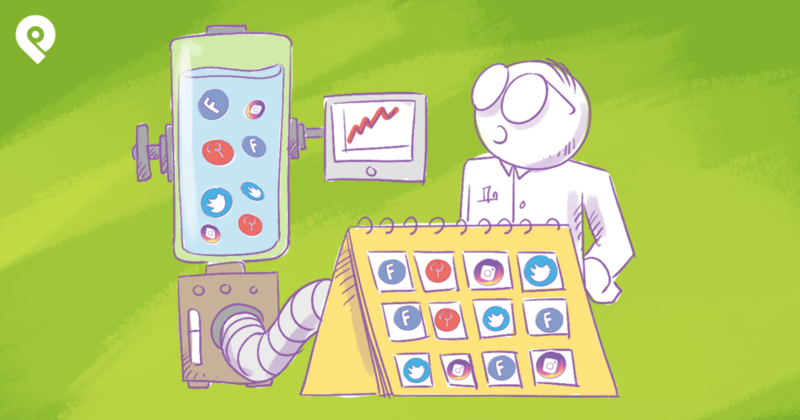 Are people talking about your products or services on social media? Are they saying good things about you, your business or your content? Now the question is -- what can you do with all those comments, images and other fun stuff? It's called user generated content, and it can be valuable to you. 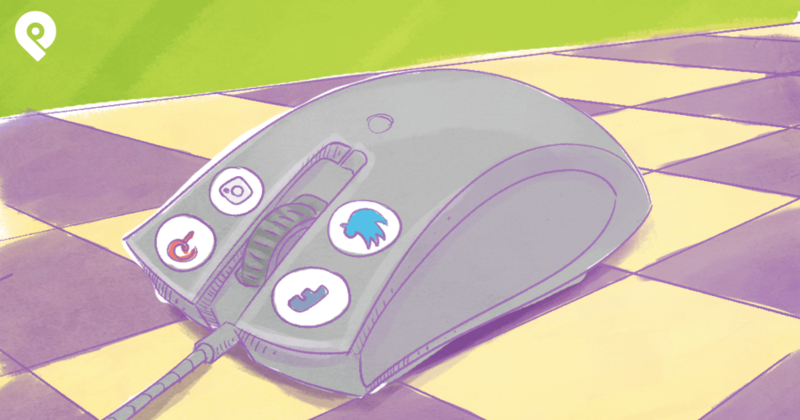 You can use a mix of built-in social media features along with 3rd party tools to turn that juicy stuff into content you can use to put your best foot forward. Think of it as bragging -- but you don't have to do the talking! In this post, I'll show you 7 ways you can use user generated content from social media to impress your potential customers. First off, you might be wondering why user generated content from social media is so powerful. The reason is because it is social proof. Anyone can write a few sentences, slap a fake name on it and add a stock photo of a smiling face to create fake testimonials. But utilizing compliments, reviews, and testimonials from social media has a different effect. It's usually corroborated by someone who went to the original posting to contact the person who posted it. This is what makes it social proof -- and this is what makes it powerful. The more user generated content you can find about you, your business, your content, your products, or your services on social media -- the BETTER. 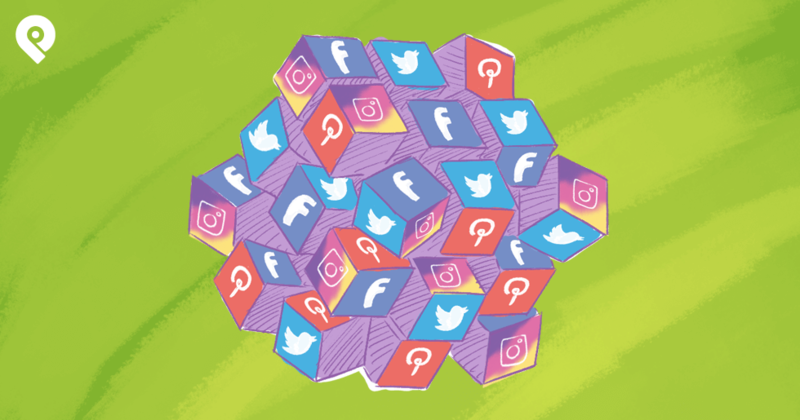 Now, let's look at the ways you can share this type of social media content with your audience. 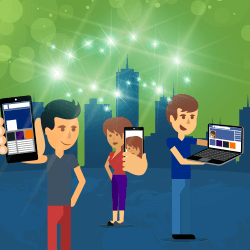 Are your customers tweeting about you? If so, you can take those tweets and share them on your website. This will show your potential customers how much your current customers love you. To find these tweets, search for your name, your business name, your unique product names or your unique service names. If there are a lot of results, you can narrow it down to the positives by adding in keywords such as like, love, thanks and thank you. When you see some good tweets -- you have a couple of options. For starters, you can click on the heart icon below the tweets you like the most. If you only like tweets that you want to showcase to your potential customers, you can create a widget that features all your likes. This is going to be the simplest option since you can like tweets from your browser as well as the Twitter mobile app. This means you'll be adding new complimentary tweets to your website all the time. Note that while there's an option to create a widget for particular search terms, you'll want to avoid that option. If you choose to do that, you'll have no control over what tweets show up in your widget and... on your website. Twitter also offers a tool called Curator that allows you to create collections of tweets. 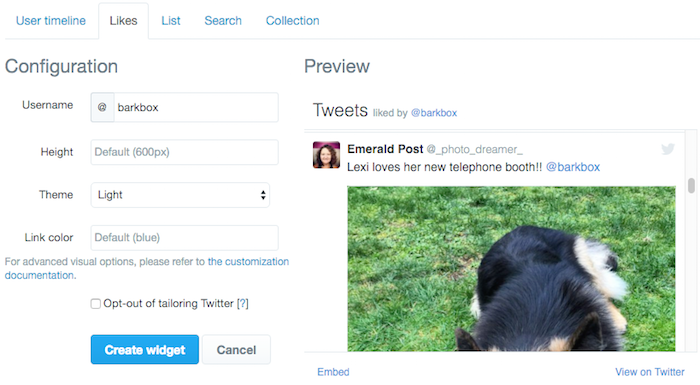 You can use this to create collections of tweets that you can showcase to your customers through a collection widget. You'll start by creating a new project and stream using your search query to find complimentary tweets. Inside your project, you'll create a new collection. 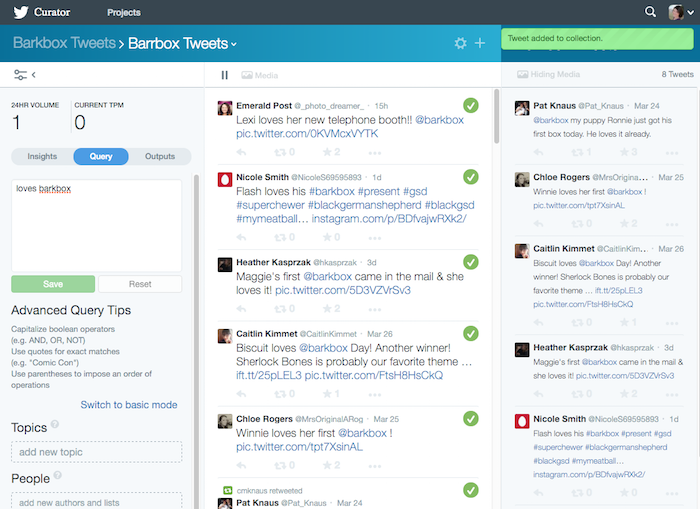 Then, you'll check the tweets you want to be featured in your collection from the middle column. You can adjust the search query accordingly in the left sidebar to find new tweets. 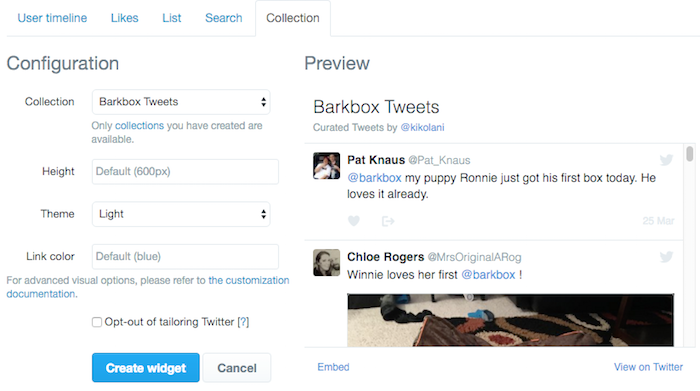 Once you've added some tweets, you can create a widget that features your new collection. 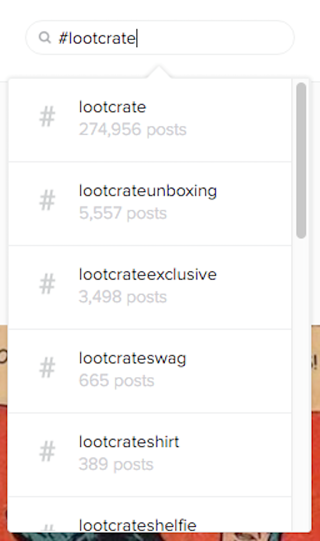 Each time you update your collection in Curator, your widget will be updated as well. You can also do this on a select basis by embedding individual tweets on a page by grabbing the tweet's embed code. This will embed the entire tweet on your website -- including related media (such as images and video). 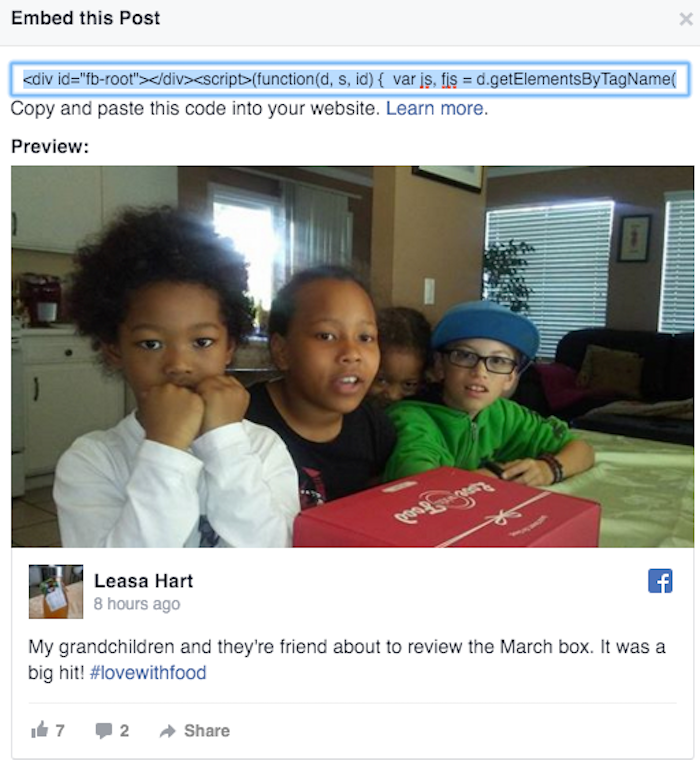 Just like the tweets -- you want to grab the embed code when you see them, and embed them on your website when you're ready. Your potential customers will have proof that your customers love you based on this user generated content. Plus, they can like the tweet from your website. So if they aren't ready to buy today, they'll have a reminder on their in Twitter account to buy later! So let's say you don't get a lot of tweets about your business. 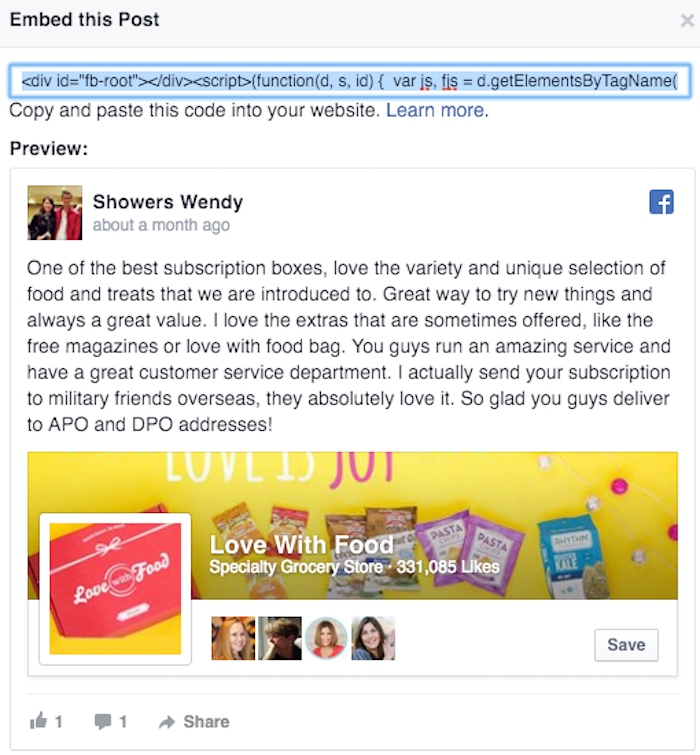 What about Facebook posts to your page or reviews about your local business? Guess what? You can embed those on your website as well. While Facebook doesn't have a widget that compiles them into a neat timeline like Twitter does -- you can embed the individual posts. 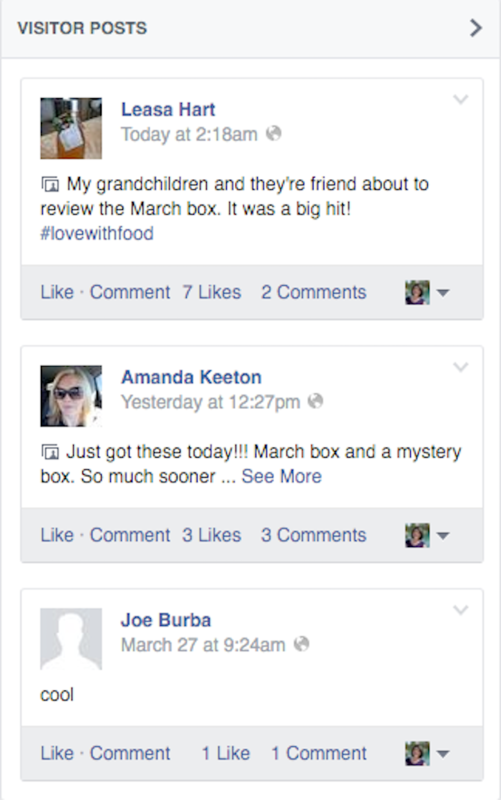 For posts to your page, all you have to do is click on the Visitors Posts box on your page. Next, click on the dropdown arrow at the top right of the post to find the link to the embed code. This will give you the code and the preview of what the post will look like on your website. The same works for reviews on local Facebook pages. You will click on the link to your reviews. 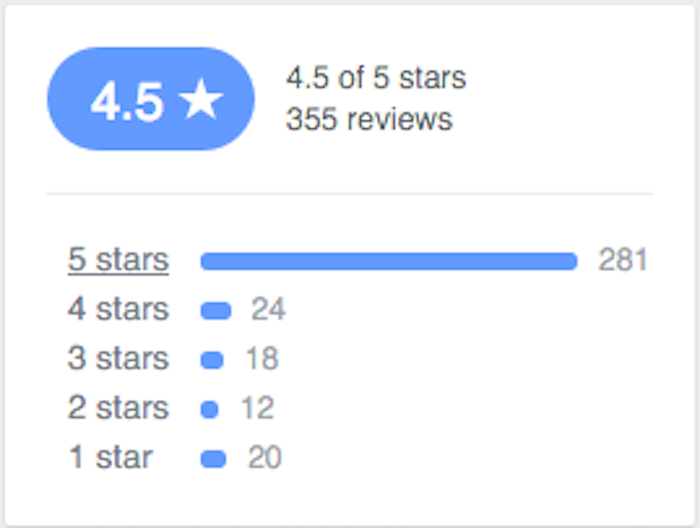 If you have a lot of reviews, you can click on the 4 or 5 star reviews specifically to find the ones that are likely to be the most positive. When you find some good ones, click on the dropdown arrow at the top right of the post to find the link to the embed code. Note that the review embeds actually include more details about the Facebook page itself, as shown above. Thanks to this, your potential customers get proof that your current customers love you (based on this user generated content from Facebook). They can also like your page so you can get into their news feed with organic posts and ads later! Instagram search is a bit harder to use since it's dependent on people using hashtags when referencing your business, products, or services. But if you can get people to use your hashtags, you can embed their posts on your website. 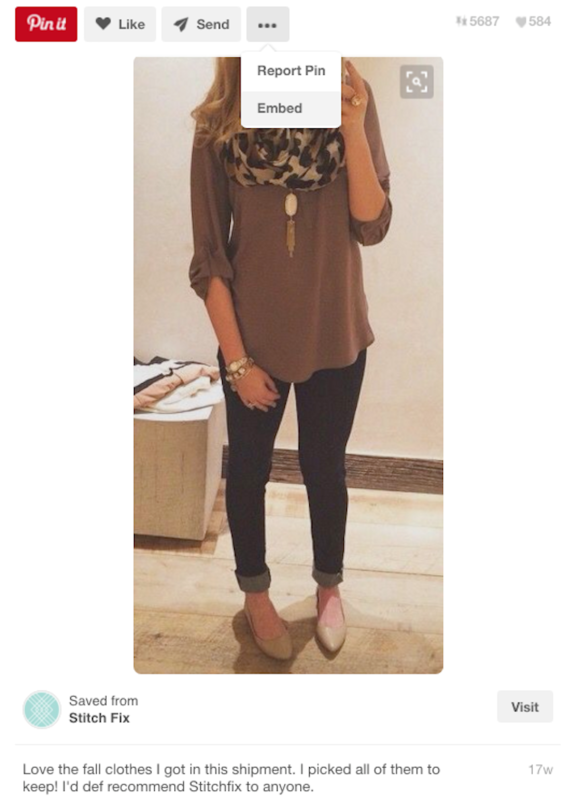 So start by embedding your hashtag into your customers' minds using your own Instagram posts. Then start searching for your customers' posts on the desktop with that hashtag. When you find some great images and video, click on the three dots at the bottom of the post to get the link to the embed code. Make sure you keep the checkbox for the caption checked so you get your customer's compliment along with their media for the embed. Yet again, your potential customers get proof that your current customers love you based on this user generated content from Instagram. And they can also like the image to save it for later! And based on their Instagram settings, it might even get shared with their friends on Instagram, Facebook and other networks. 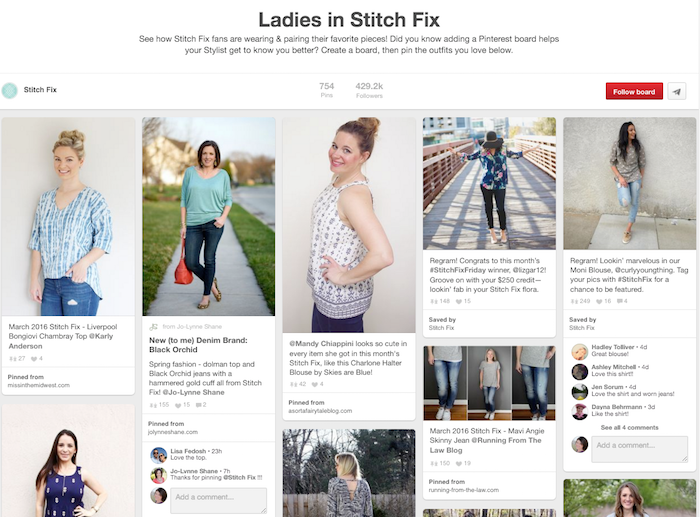 Pinterest gives you several options for sharing pins from your satisfied customers. For starters, when you find happy customers sharing images of your products across the web, pin them to a specific Pinterest boards. Or, if they're pinning images of themselves with your products, you can repin their images to that same board. 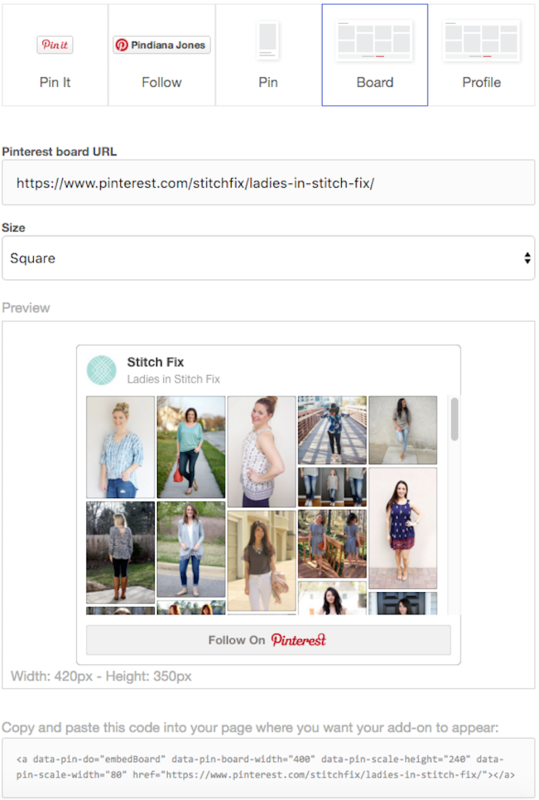 You can then use the Pinterest widget builder to create a widget for that board to add to your website. Or, you can go the individual route and search for pins or repins of your products with a complimentary caption. 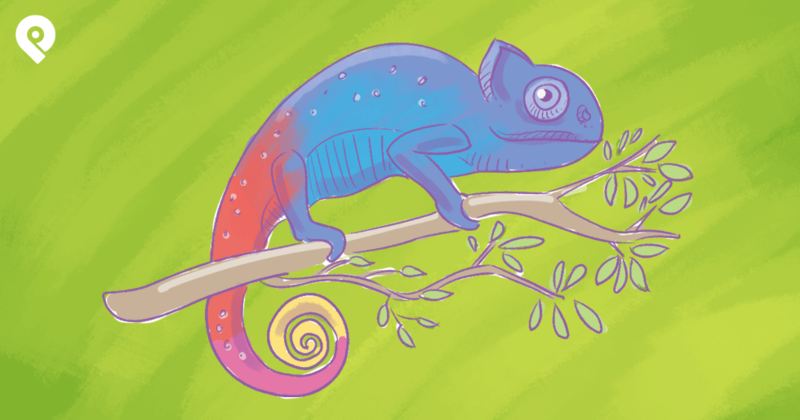 When you find a good one -- click on it, then click on the three dots to find a link to the embed code for that pin. If it's a pin from your website, your potential customers get proof that your customers love you based on this user generated content from Pinterest. They can also click straight through to your product or pin it to their own boards! And based on their Pinterest settings, it might even get shared with their friends on Twitter and Facebook too! Up until this point, I have shown you free ways to collect user generated content that you can use on your website. They are all ways to give potential customers social proof about why they should believe in you and your business. But what if you have social proof coming from all these networks and others? What if you have LinkedIn recommendations or Yelp reviews, which are not individually embeddable? If that's the case, then you should give Spectoos a try. This premium service allows you to combine your social proof (testimonials) from multiple networks into one widget. Their pricing starts at $5 per month for five testimonials or $10 per month for ten testimonials. Here's how it works... Let's say that you wanted to showcase a LinkedIn recommendation. You would add the testimonial via a form to your faceboard (widget) like this. Once you've added all your recommendations, you'll get the embed code for your faceboard and place it on your website. The result would look like this. Your potential customers will be able to click on the people whose testimonials they wanted to read. They will have a direct link to those profiles if they want to contact those individuals for more information about you. No worries if you have more testimonials than spaces on the faceboard. The images will rotate so potential customers get a chance to see everyone's testimonials. Spectoos currently supports social proof from Amazon, Citysearch, Etsy, Facebook, Google+, Insider Pages, LinkedIn, TripAdvisor, Twitter, Yelp, and Zomato. They are taking suggestions for other networks. If enough people request a network, it might get added to that list. So keep that in mind! 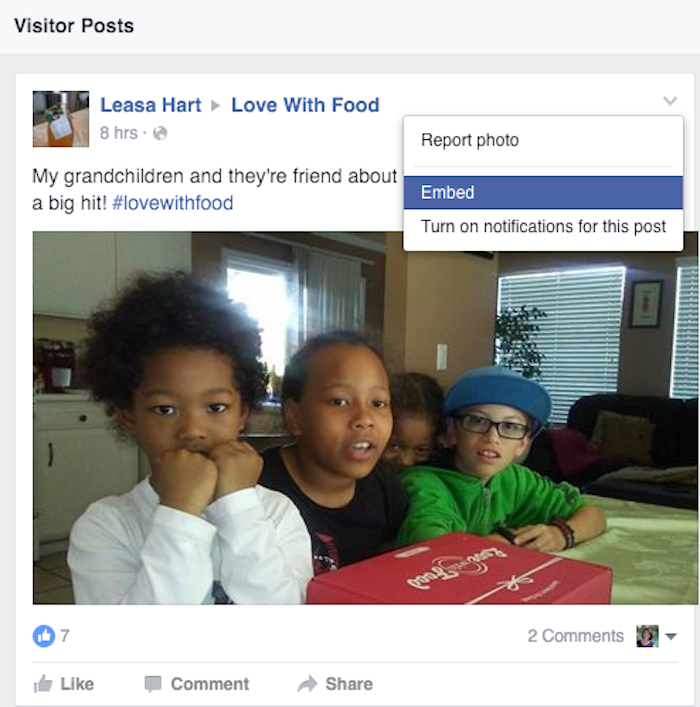 There are 4 ways you can display your user generated content as social proof. 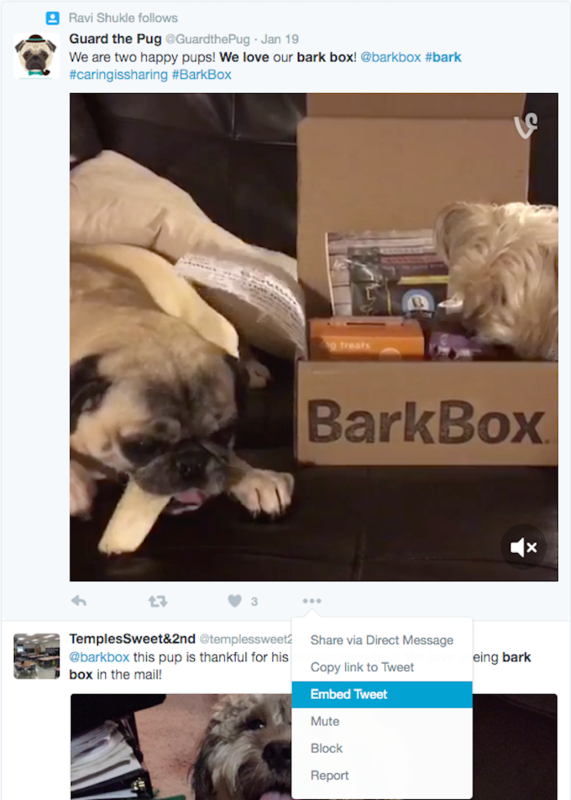 Your decision will depend on what you have to offer -- and what the user generated content has to say about it. 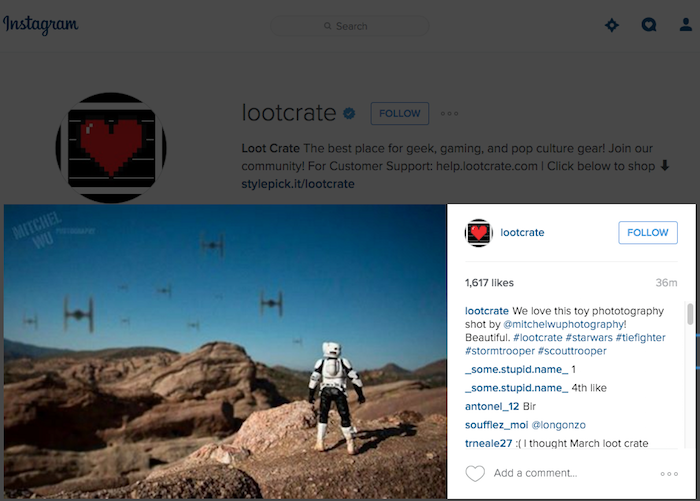 You can display user generated content selections on your homepage. You can add user generated content selections on your website's sidebar or footer. 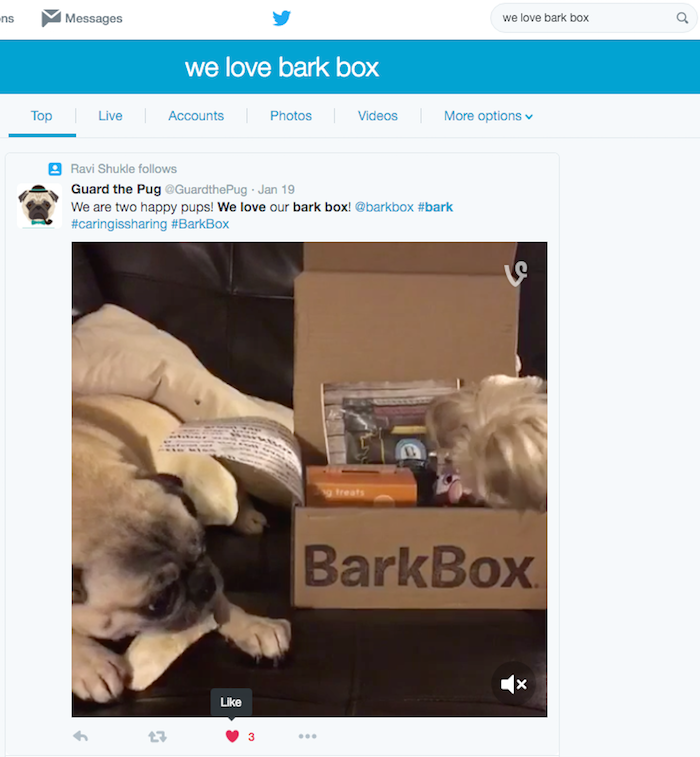 You can place user generated content selections on product pages or throughout landing pages. 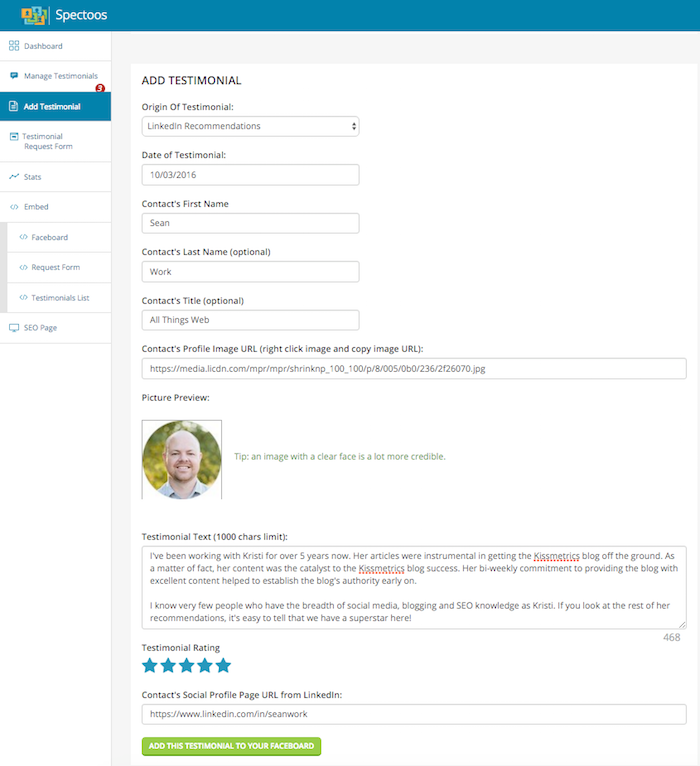 You can add your user generated content on your testimonials or reviews page. 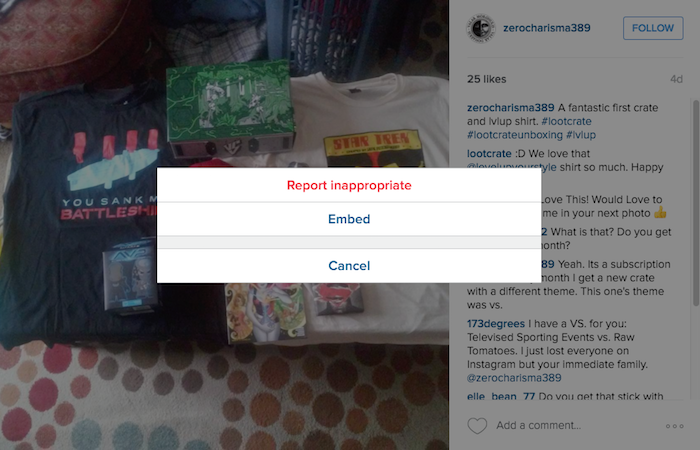 There is no right or wrong way to display your user generated content. But there are strategic ways to ensure this content is boosting confidence in the mind of the right person at the right time with the right message. You may want to choose a more enterprise level solution for gathering and publishing user generated content. RebelMouse offers embeddable modules, sections, sidebars and pages for content from specific users, hashtags, and searches. Their solution works with Pinterest, Tumblr, Google+, Facebook, Twitter, Instagram, YouTube and any site with RSS capability. EngageSciences is a platform that offers an Advocacy Module solution to aggregate, curate, and publish user generated content. Their solution works with YouTube, Vimeo, Twitter, Pinterest, Instagram, Google+, Flickr, Facebook and any site with RSS capability. ReadyPulse is a platform that gives you the power to acquire the rights to user generated content to curate and publish it with full disclosure. Use it in-store, feature it in ads and much more. Like most enterprise level solutions, you'll have to contact the company to request pricing. And you can expect a little sticker shock if you're not a big brand! 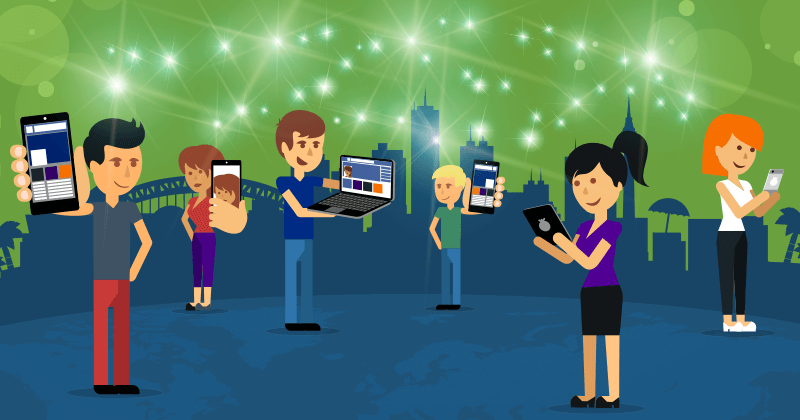 As you can see, there are lots of ways user generated content can light up your social media! It doesn't matter if you're an individual looking to share testimonials or a small business looking to share reviews. You might even be a major brand looking to share the voices of your advocates. User generated content can be an effective trust and credibility building tool for your business. When you see this type of content on social media, think about how you can reshare it for your potential customers to see. Find the method that is right for you and take advantage of it. 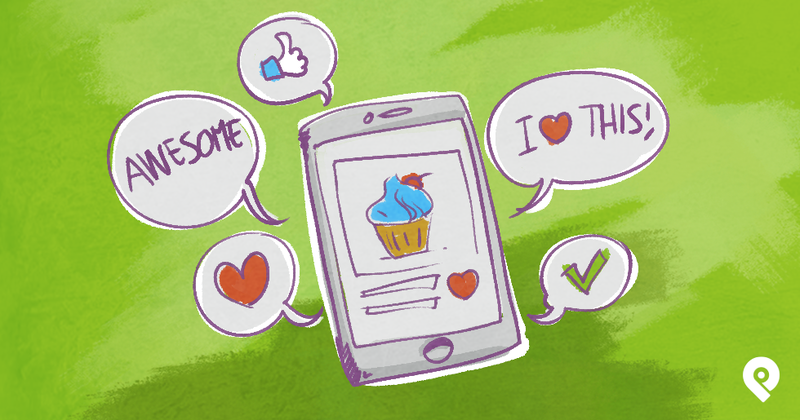 In the digital world we live in - social proof is the best kind of proof there is!